Finding a tutor for your children isn’t an easy task at all. Just like any other thing today, tutoring has also evolved into a multi-billion-dollar industry, for all kinds of students – weak, average, successful – offering them a sea of educational resources. And once again, like anything else, the Internet can get you tutors too. For example, I found some really good tutors at https://answershark.com. But whether you hire a tutor online, or you hire a tutor in person, you need to ensure that the tutor will help your child excel at academics,and that your child will get exactly what she wants. And to do that, you need to question the tutor thoroughly, to know him well, before he/she is hired. Wondering what you should ask a potential tutor for your child ? You’ve come to the right place. Who will do the tutoring? Often you have to talk to a tutoring company representative, if you contact a private tutoring company. So if you want to trust the company and hire the right person for your kids, find out if you get to choose a tutor, which will be appropriate for your child. Also clear all your doubts from the company – like if someday the tutor is absent, will there be a substitute tutor ? You need to know the tutor well before hiring, so that your child gets only what is best for him /her. What are the tutor’s qualifications? You need to know the tutor’s qualifications and experiences to ensure that he/she can prove to be of help in the domains of those subjects your child needs help with. It’s not always compulsory that the tutor you hire must be a a teacher for your child’s grade level. For example – A good Biology tutor for your child in High school might have experience of teaching college-level Biology, instead of teaching at high school level. But he should at least be certified to have learnt the subject himself and have a good knowledge of it. What is the tutor’s track record? Does the tutor have any experience in teaching other students of your child’s age group ? Has he/she been recommended by other parents or teachers ? Does he have evidences of success in elevating a student’s performance; like better test results and higher classroom grades, or Satisfaction surveys filled by former students or their guardians. When and where will the tutor take the sessions? Most parents opt for online tutoring because they do not trust their child to be safe at some place away from home. But if you think you are okay with sending your child outdoors, you must know where the child will be taught to feel safe. Also, do enquire about the number of sessions per week, tutoring curriculum, etc. How does the tutor measure the pupil’s progress? You must ask the tutor what study plan will he/she devise for your child and how the child’s progress will be assessed. If the tutor gives written reports, get a sample one beforehand to know how effective it can be. How often will the tutor communicate with you and the child’s teacher? For a child to excel at studies, it’s a must that the child’s teacher and tutor, both work in coordination towards the same goal. Therefore, they should communicate with each other often and discuss the child’s progress, weaknesses, strengths, etc. 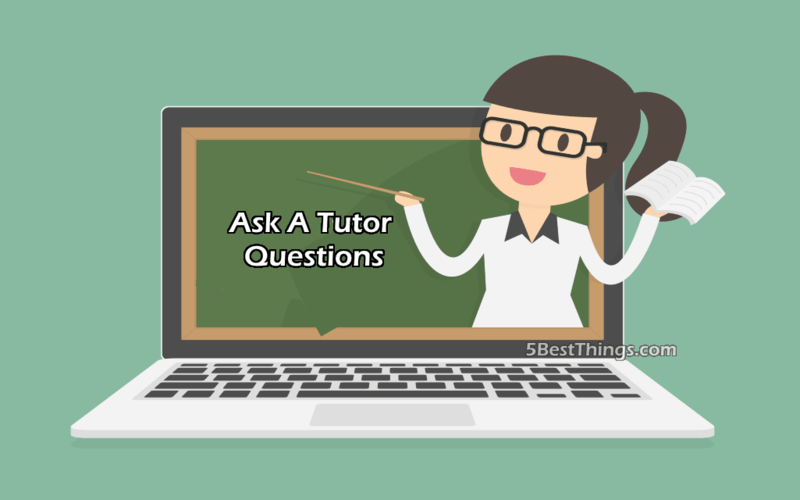 So, if you’re satisfied with the tutor’s answers to these questions you should consider hiring the tutor. Also, if there’s any other question on your mind, do not hesitate to ask. But remember, Tutoring isn’t a magic bullet, so even if you hire the most qualified tutor in town, you will also have to play a role in the child’s learning to ensure there is progress. A good tutor will suggest you on how to support your child’s learning. We hope this was helpful for you to find your child a new tutor. Best of luck!